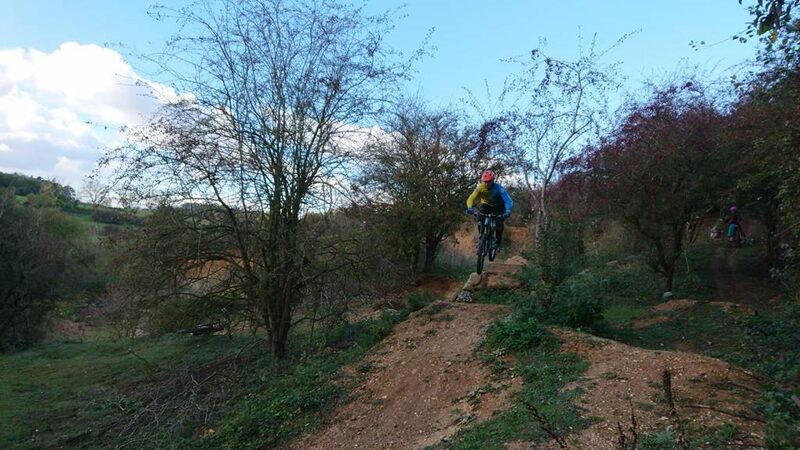 I have coached Mel, her husband Darren and friend Jason before and they returned all wanting to improve and with different issues in their riding. 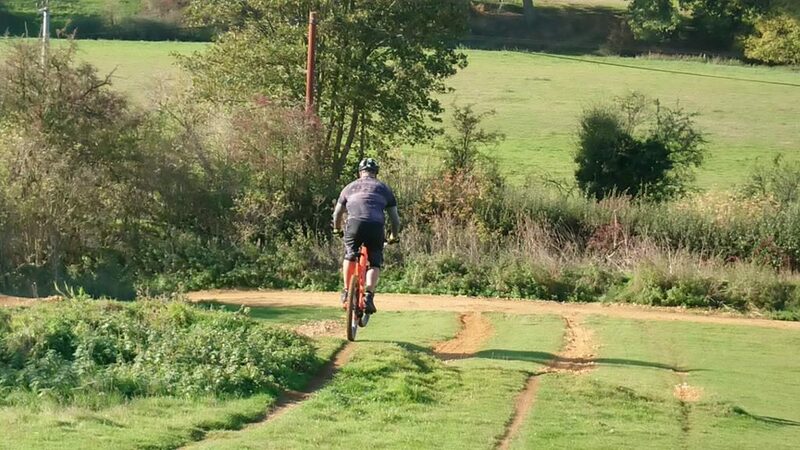 I had to help Melanie get over her broken arm on holiday in the Alps and get Darren more comfortable with drops and also Jason too. 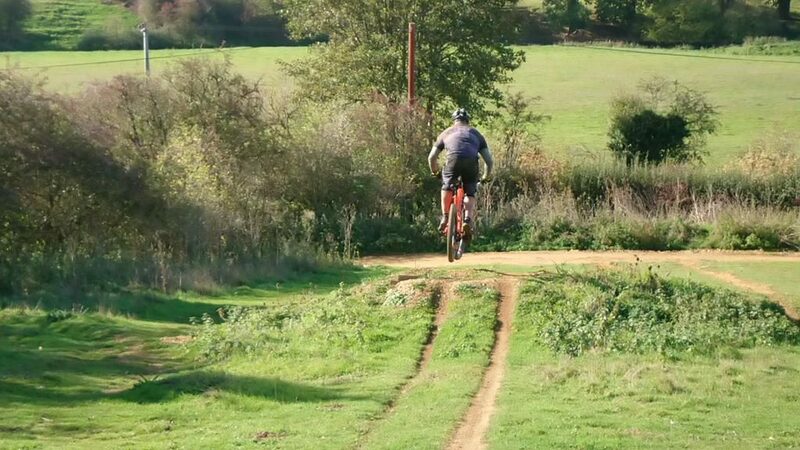 I built the session by bringing it to the basic levels needed to correct physical errors and then build the mental skills from there. 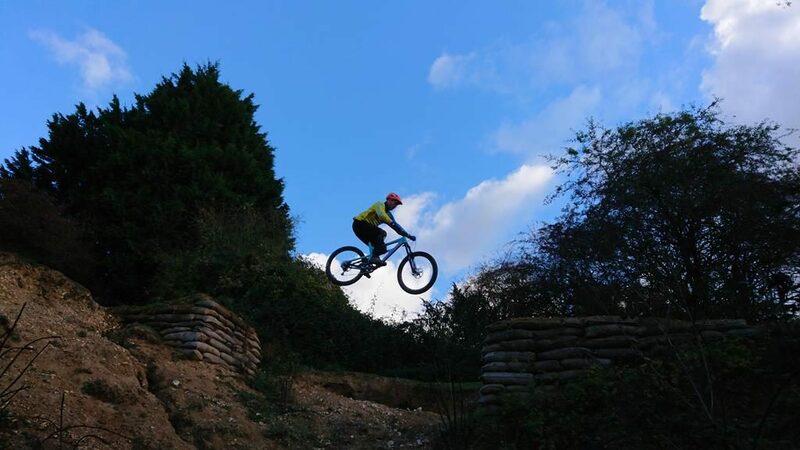 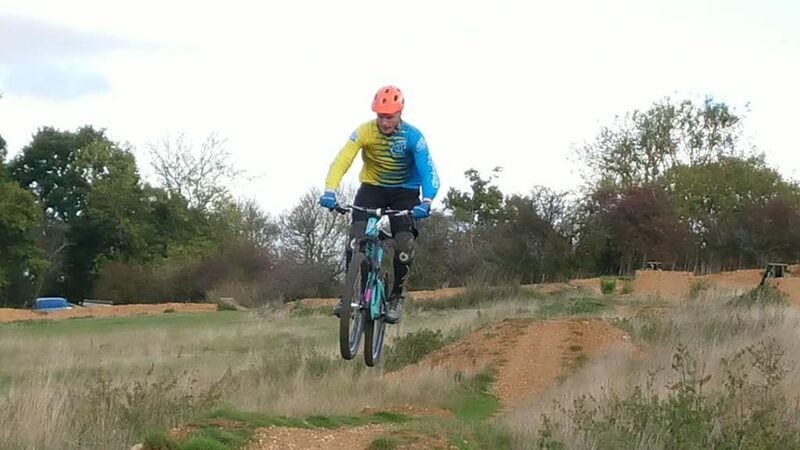 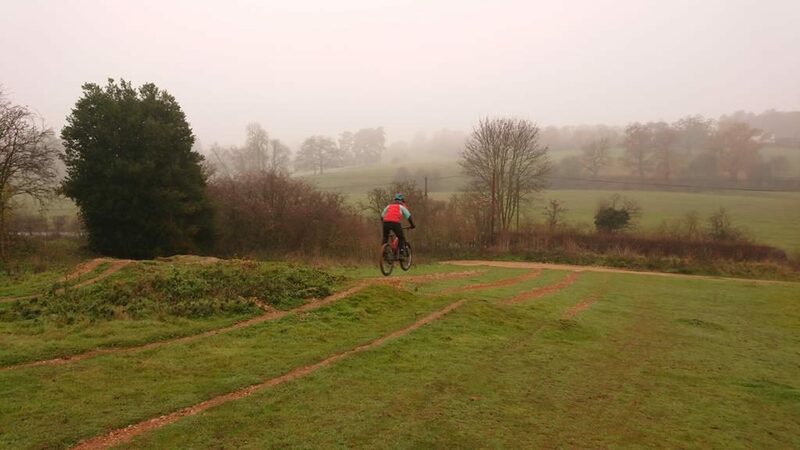 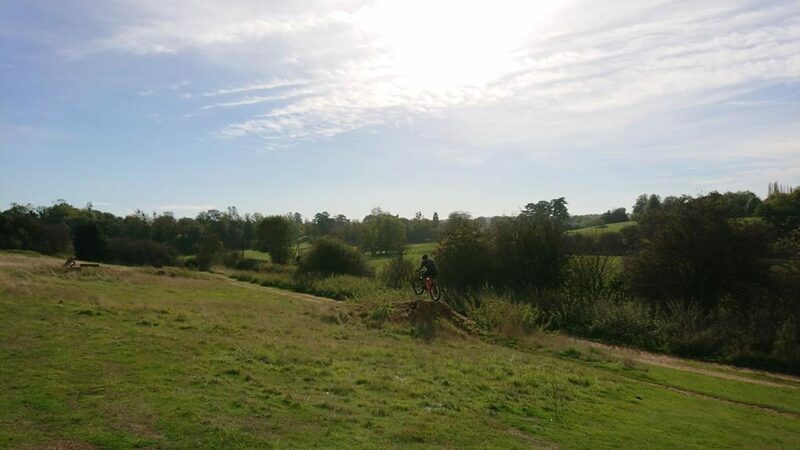 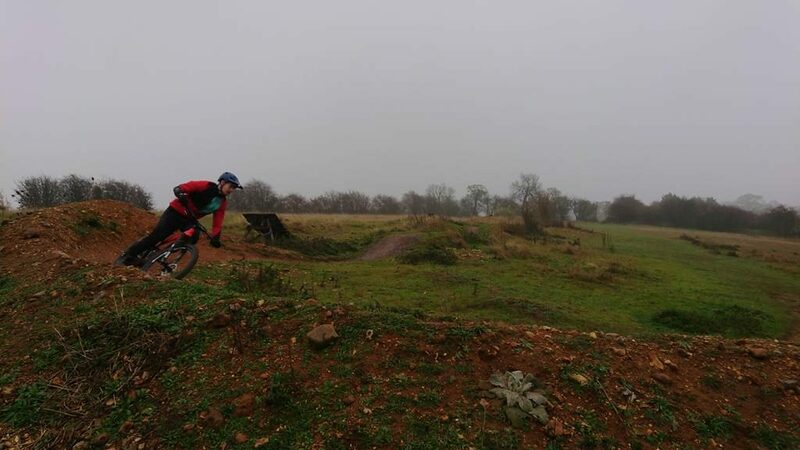 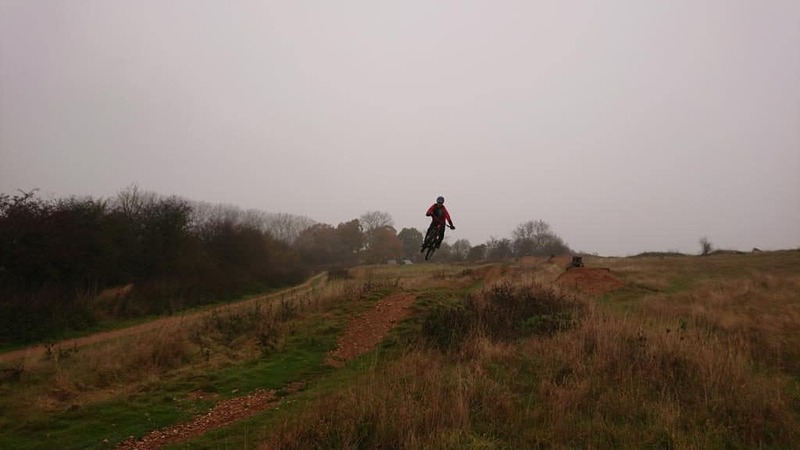 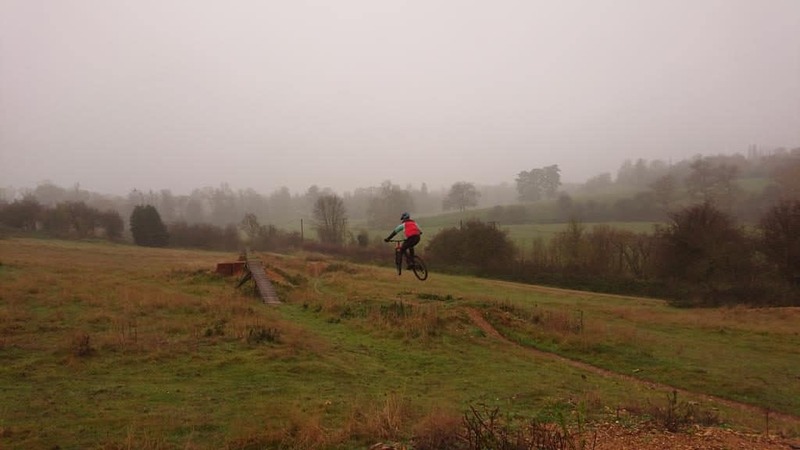 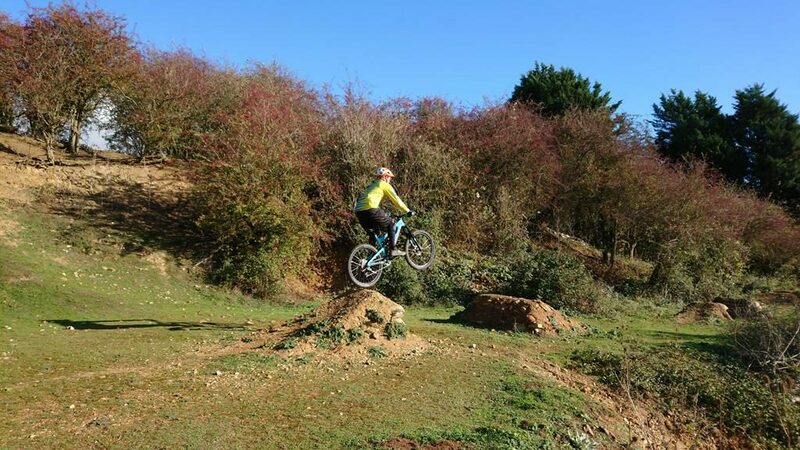 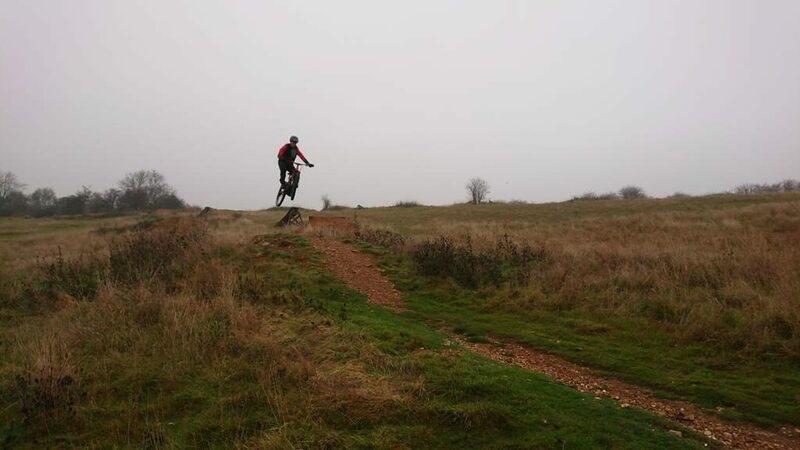 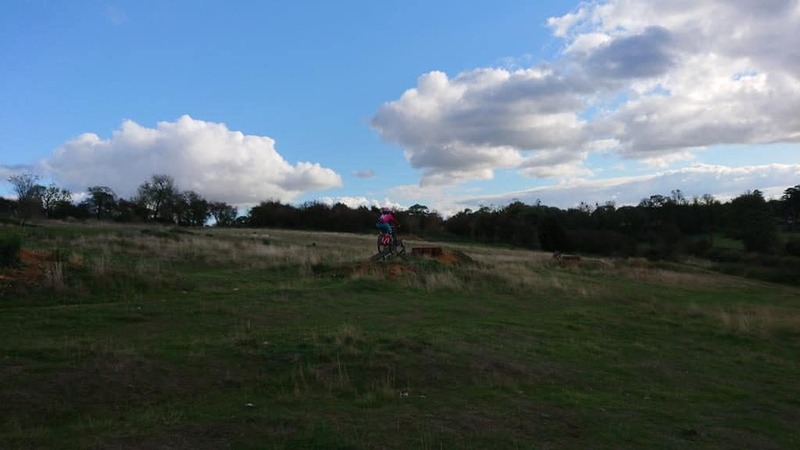 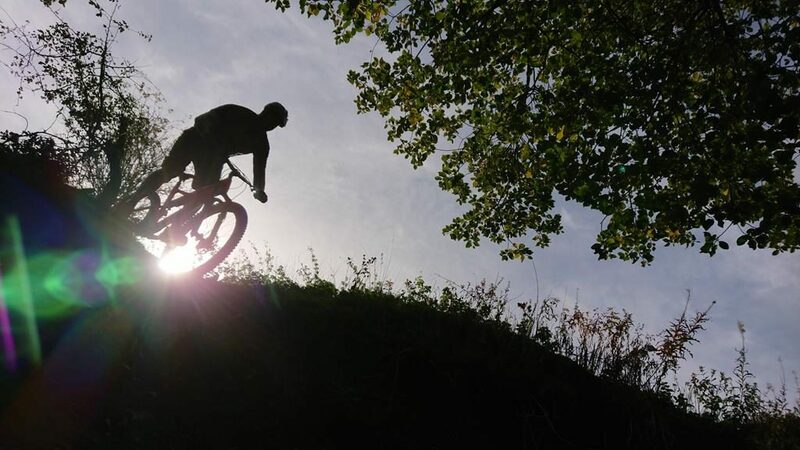 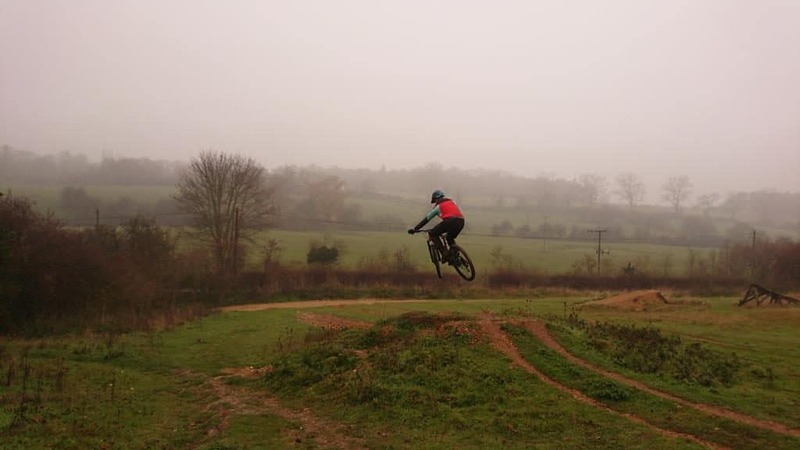 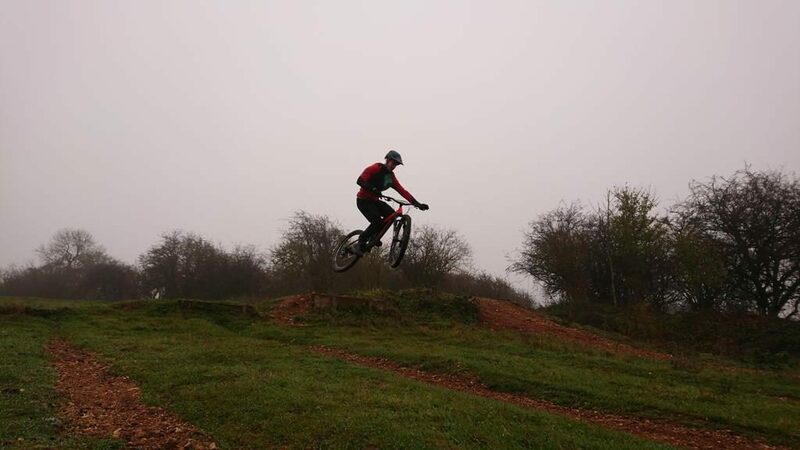 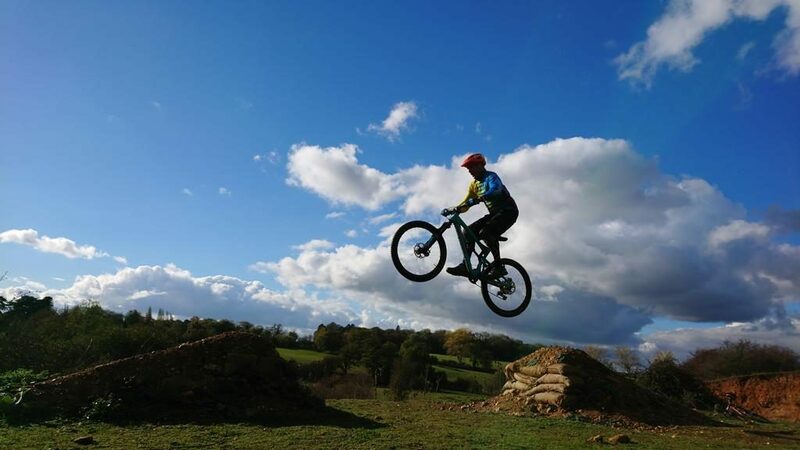 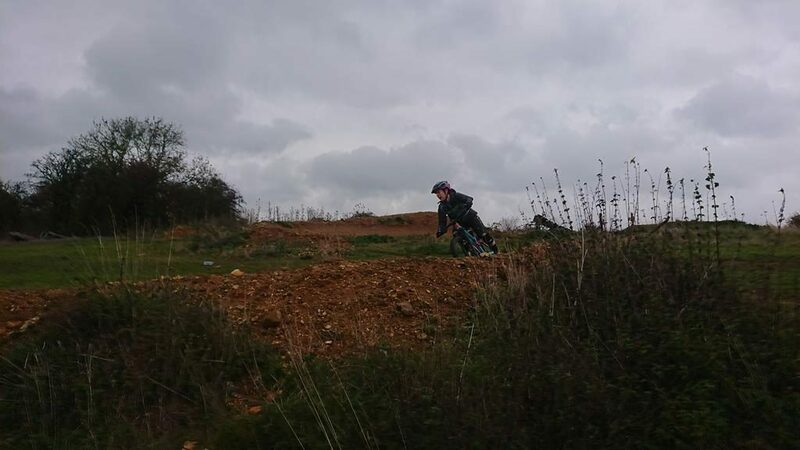 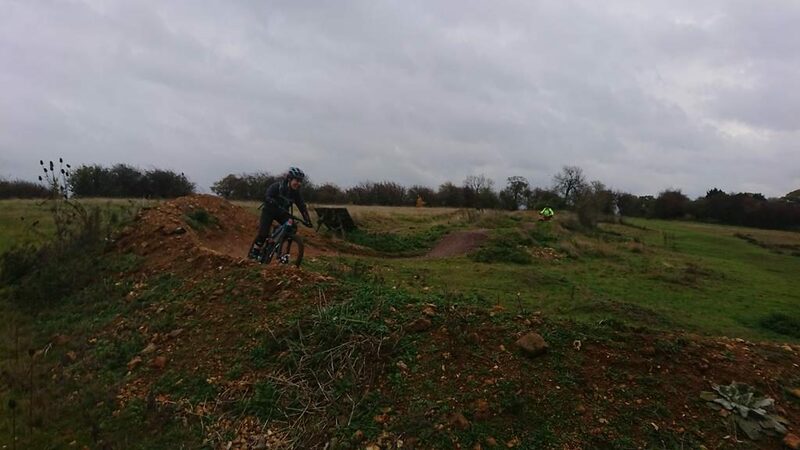 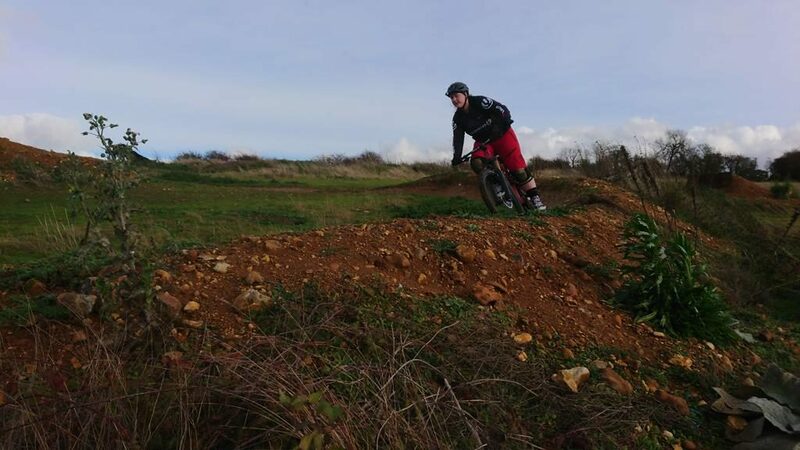 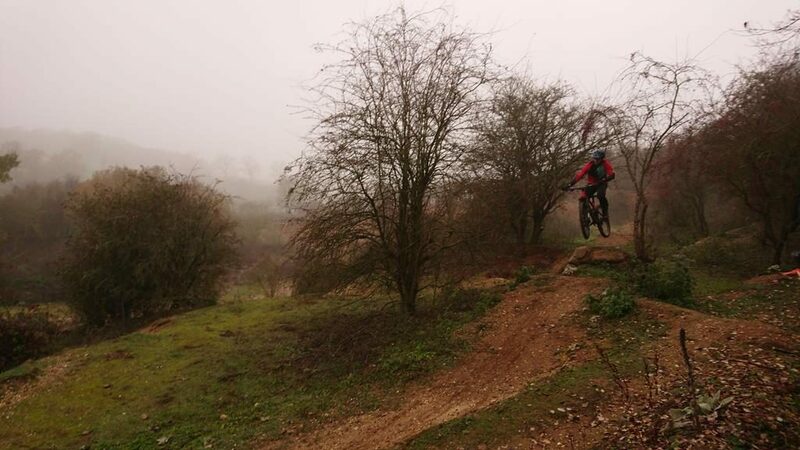 Nick came to me for mountain bike skills coaching to understand why his jumping was hit and miss and lacked height too. 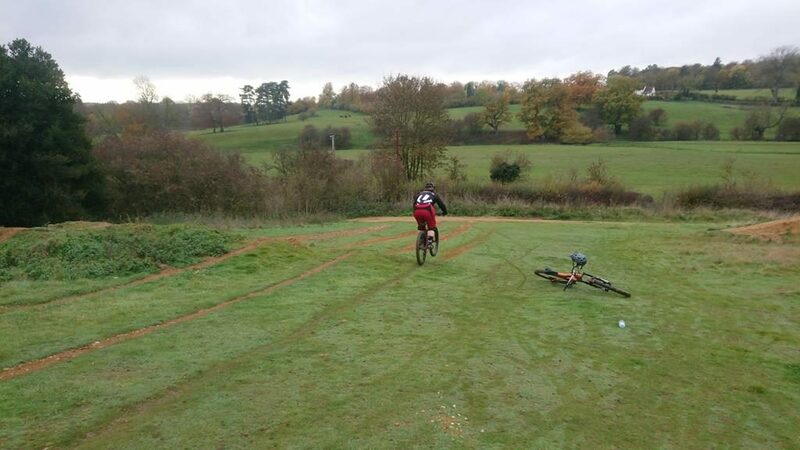 The skills check showed him why and also that he was weak in his cornering too. 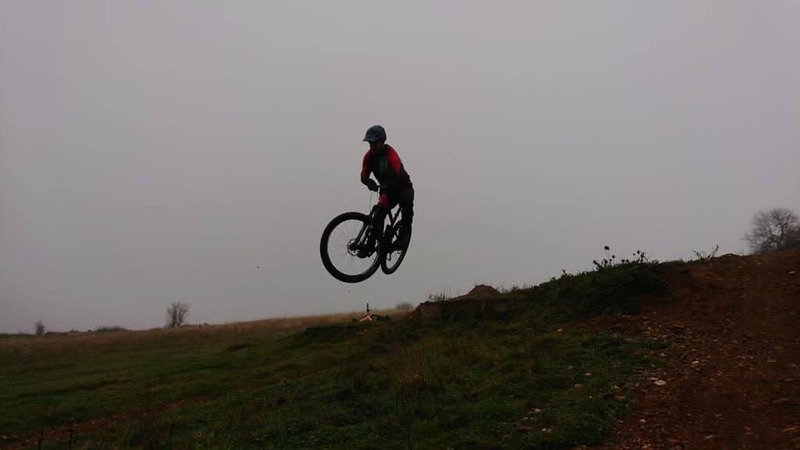 I worked hard on his positioning and footwork in all areas and in particular jumps and right hand turns. 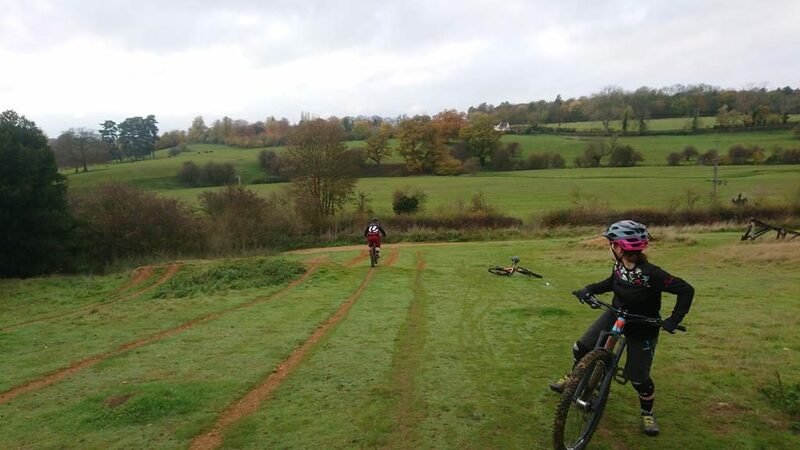 Dee and Amy work for Tftuned.com suspension tuning company and arrived as arranged for 10am. 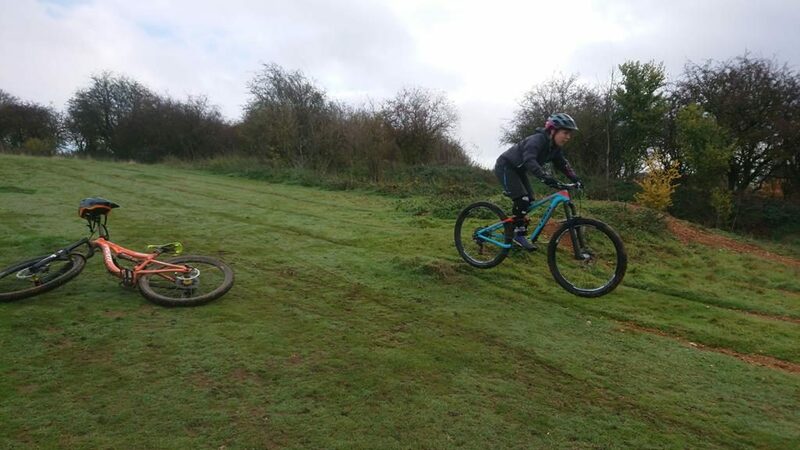 We chatted about their needs and expectations for the mountain bike skills coaching session. 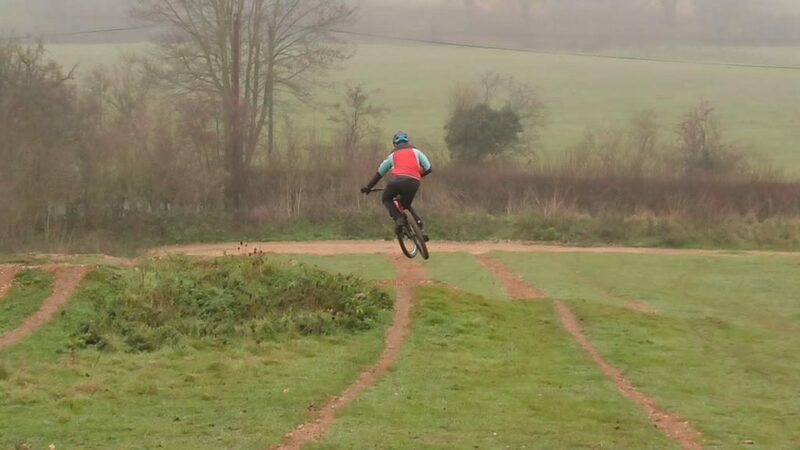 Cornering and possibly getting air under their wheels was on that list. 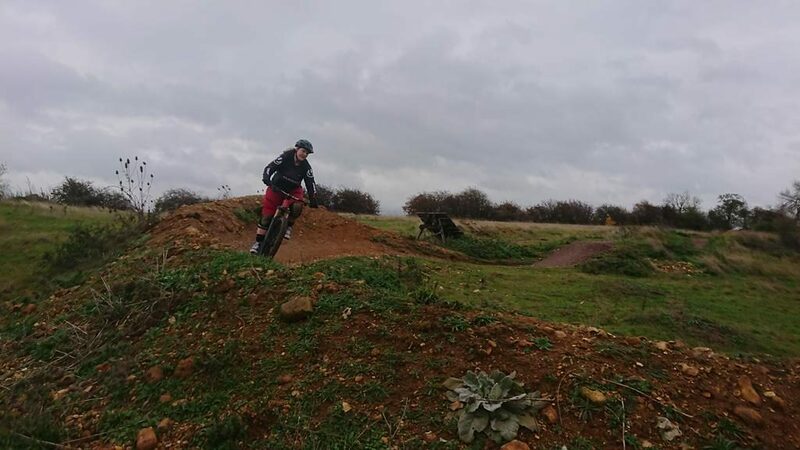 The skills check showed the areas in their physical skill sets that needed work and a small set up change assisted the skills change further. 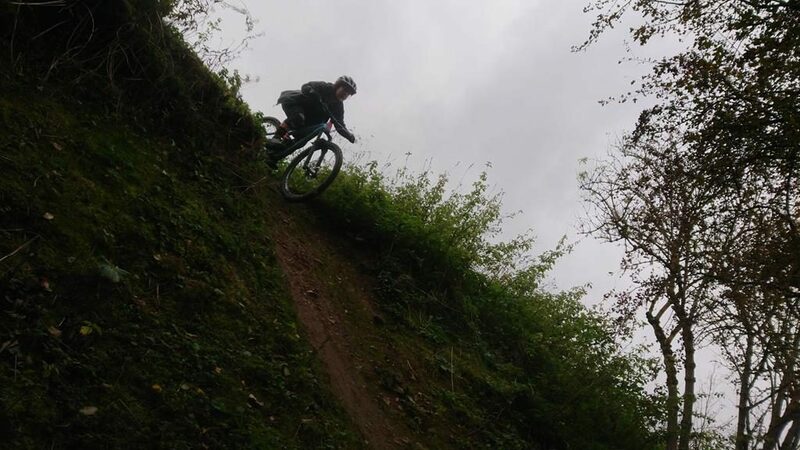 It wasn’t long before they could easily get their front wheel into the air and then off of drops to 3ft too. 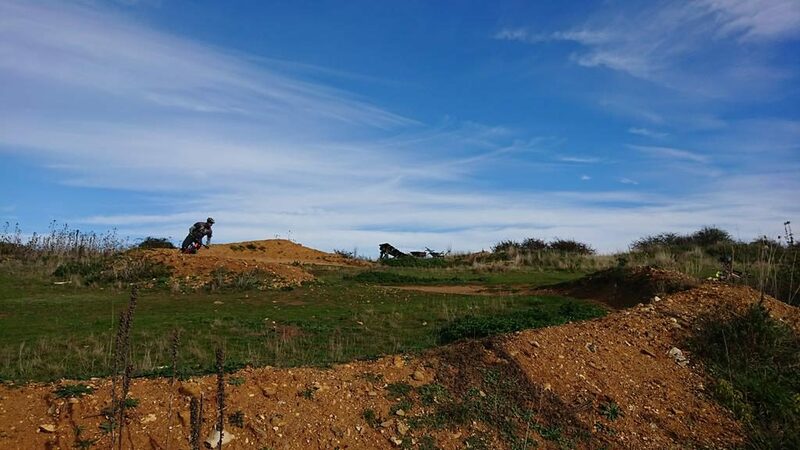 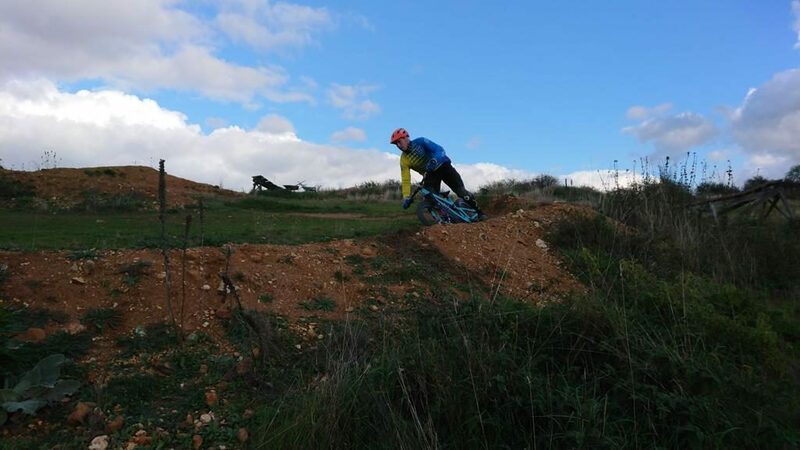 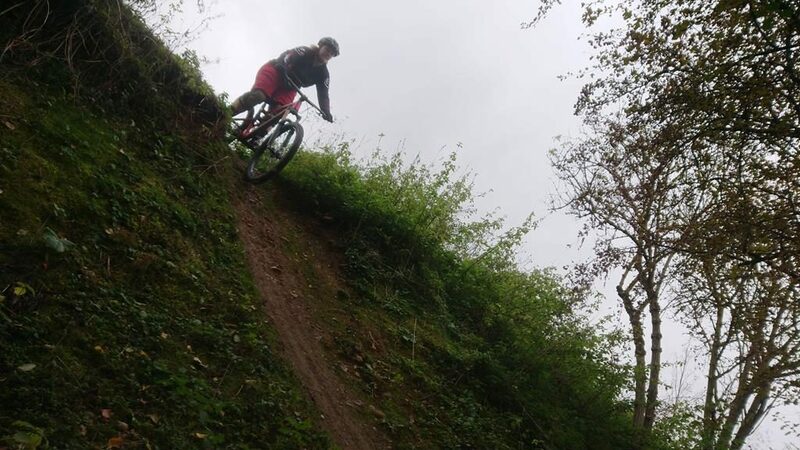 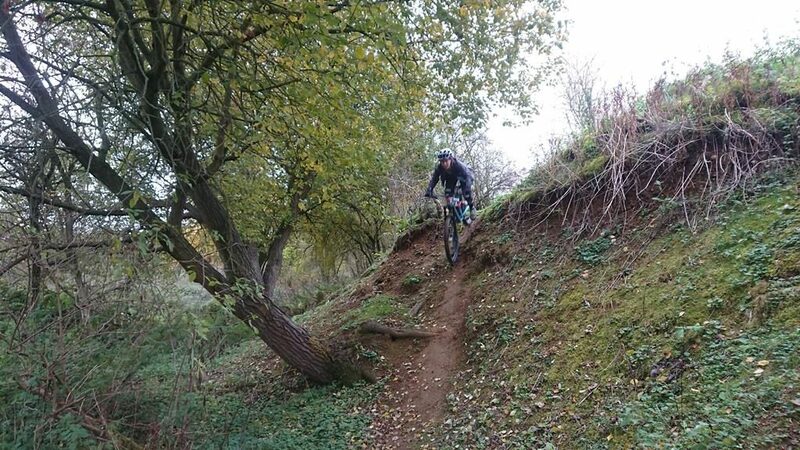 I worked on cornering next and also pumping and maintaining connection to the ground when riding multiple mounds on a trail. 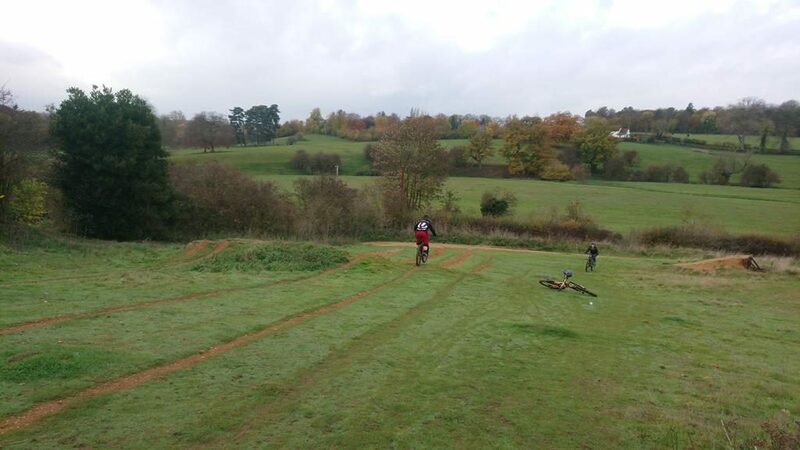 Soon they were choosing to jump them instead and flow through three berms. 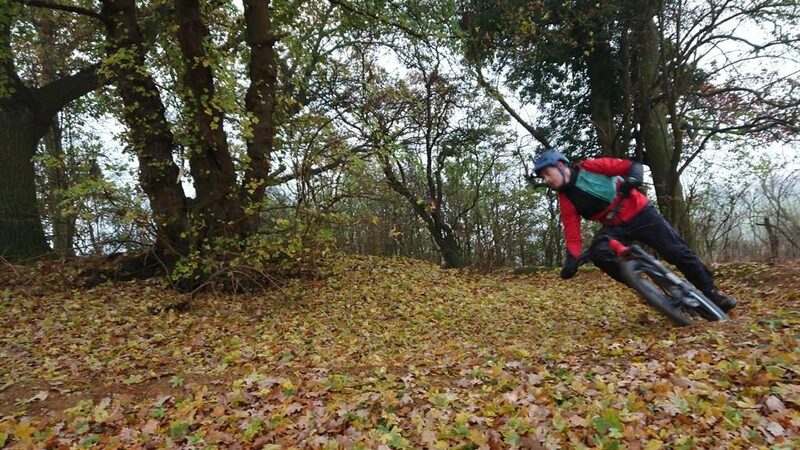 Steeps drops were a bit of a mental barrier, but by application of their new mental and physical skills it all clicked into place and became easy. 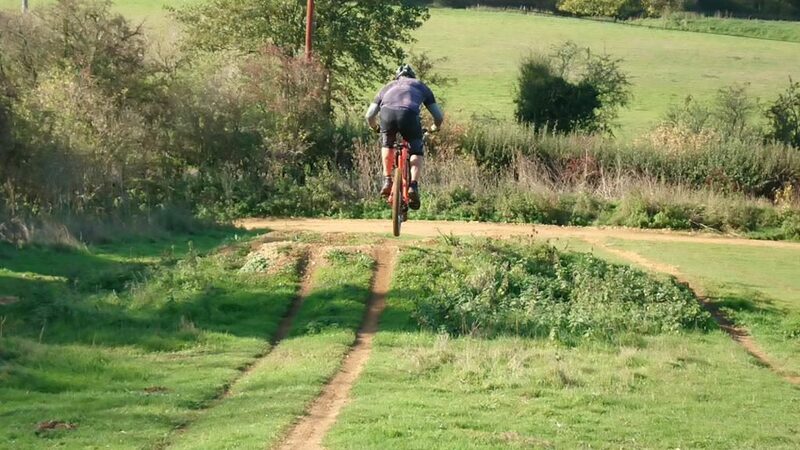 Jo and Andrew have been to me for mountain bike skills coaching a couple of times before but today was after a two year gap. 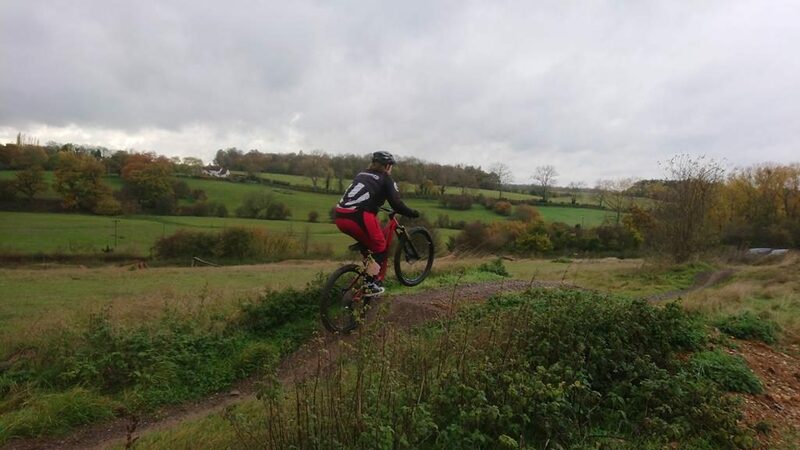 I worked on Andrew’s weaker right hand turns and on Jo’s positioning in turns. 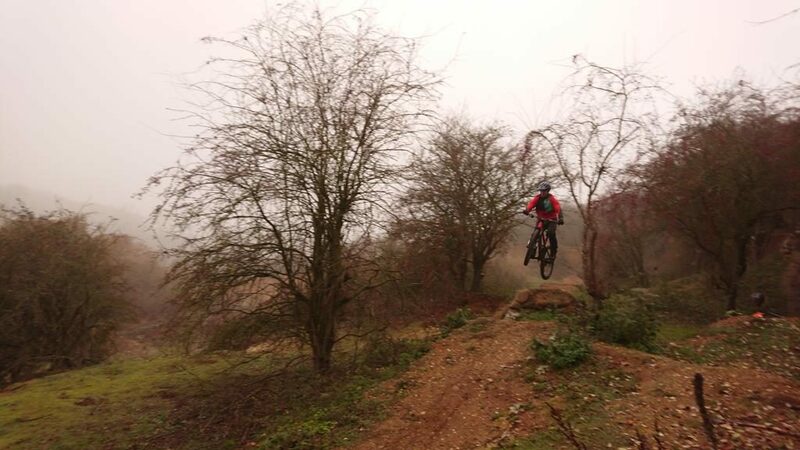 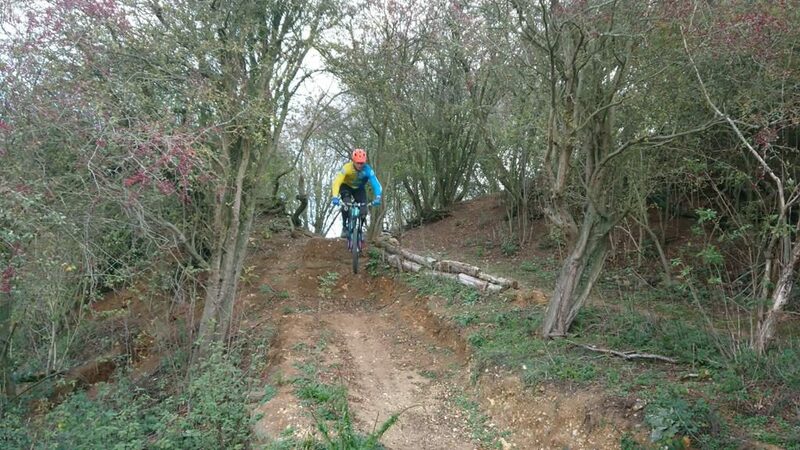 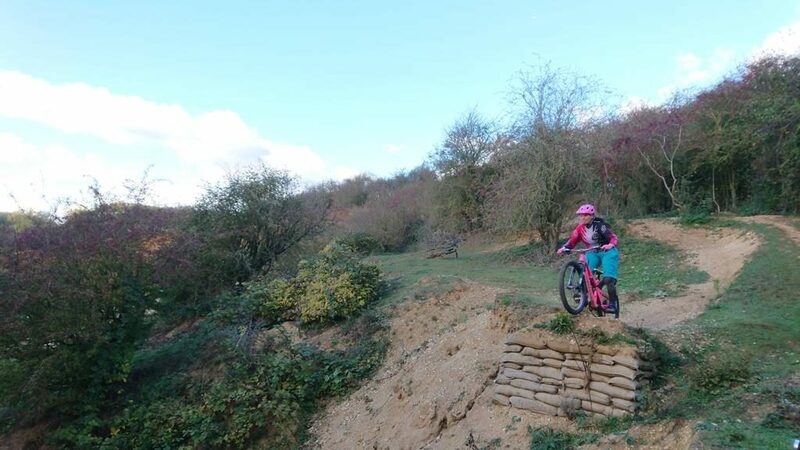 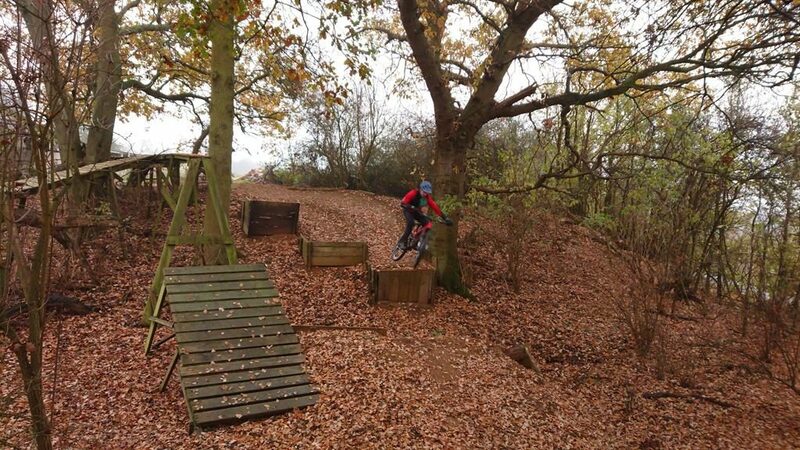 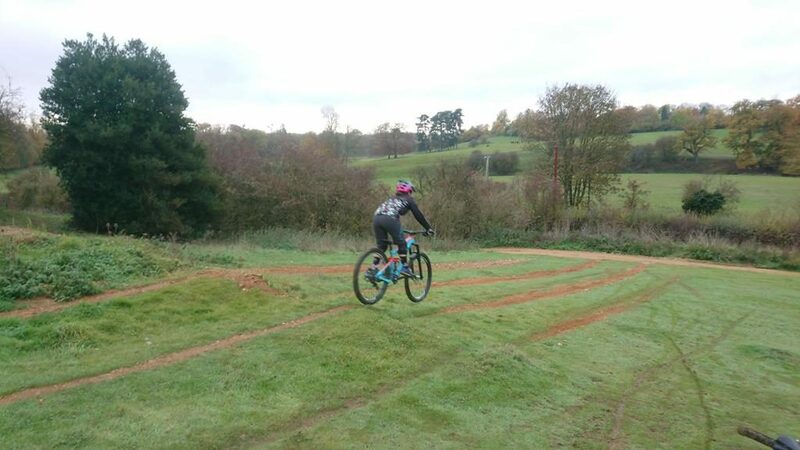 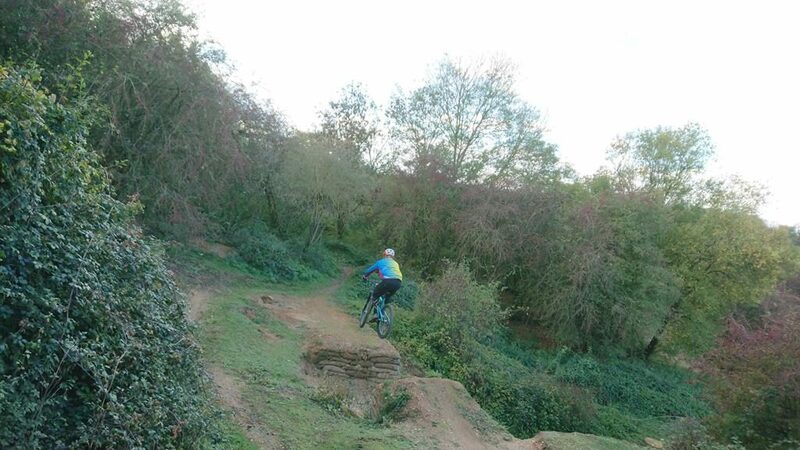 We then moved to linking gap jumps, drops and adding style too. 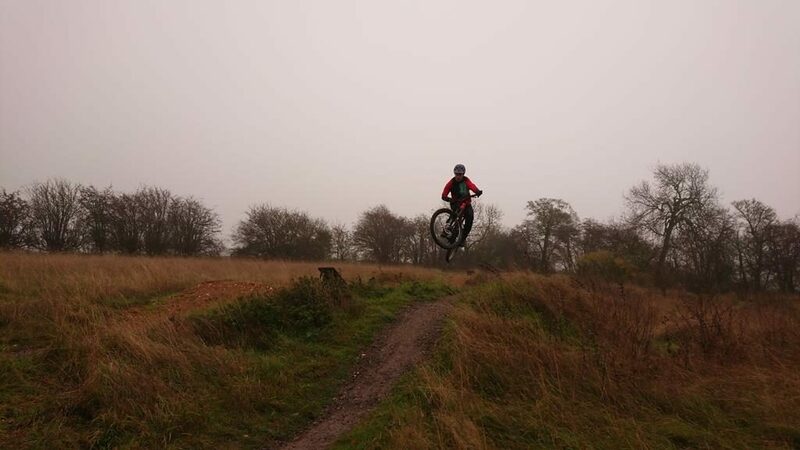 An amazing end to a great week of coaching. 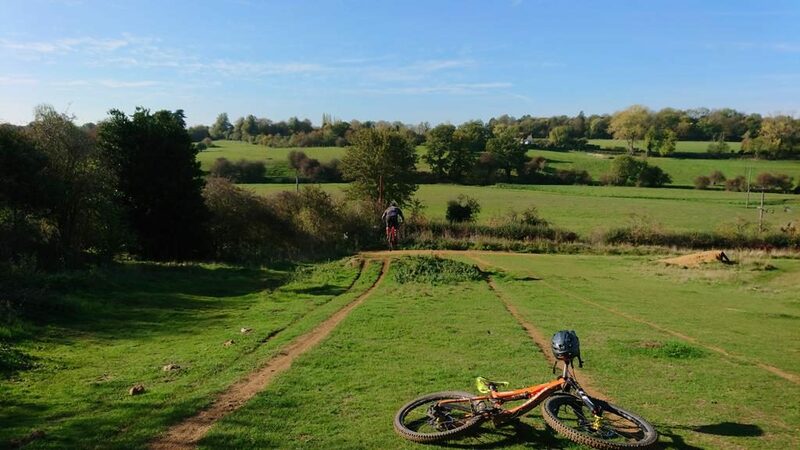 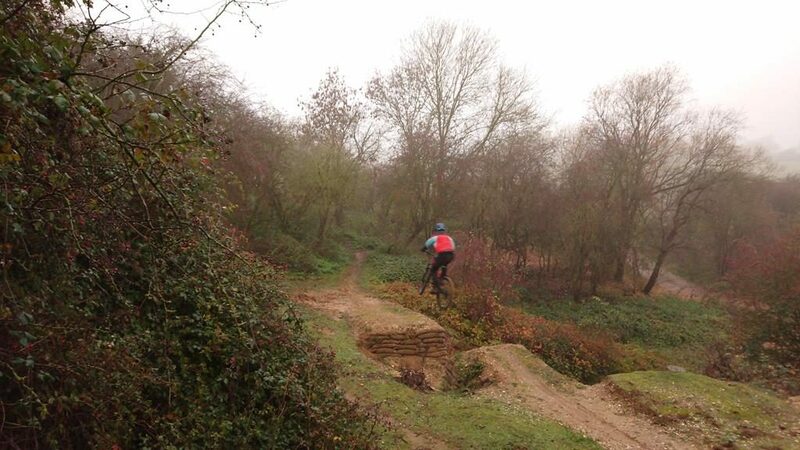 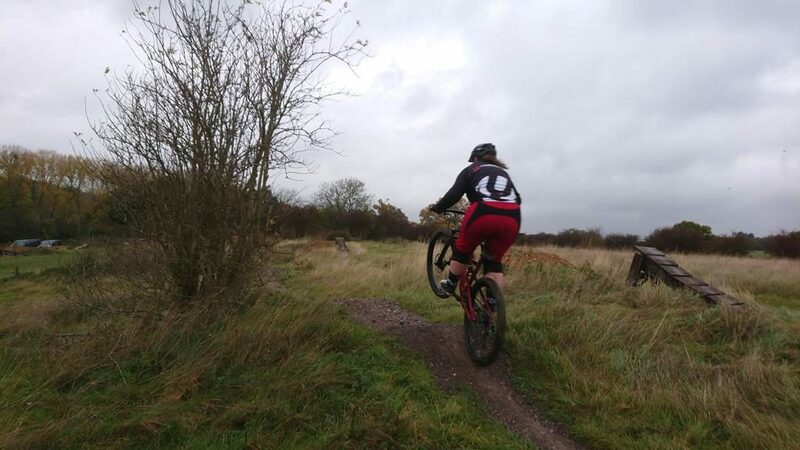 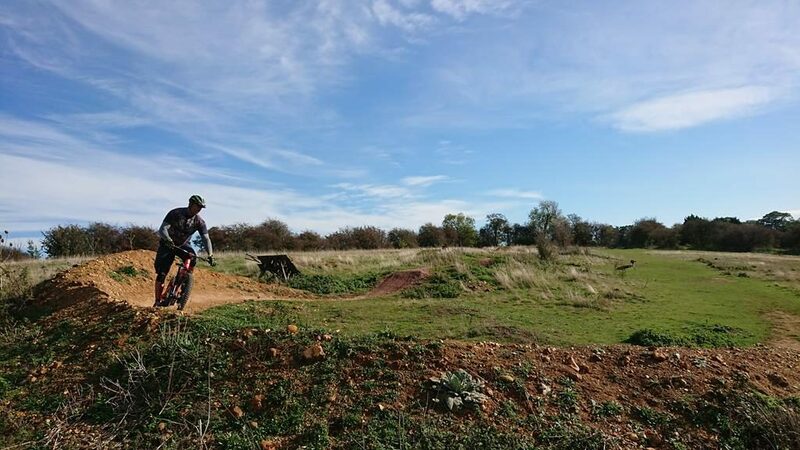 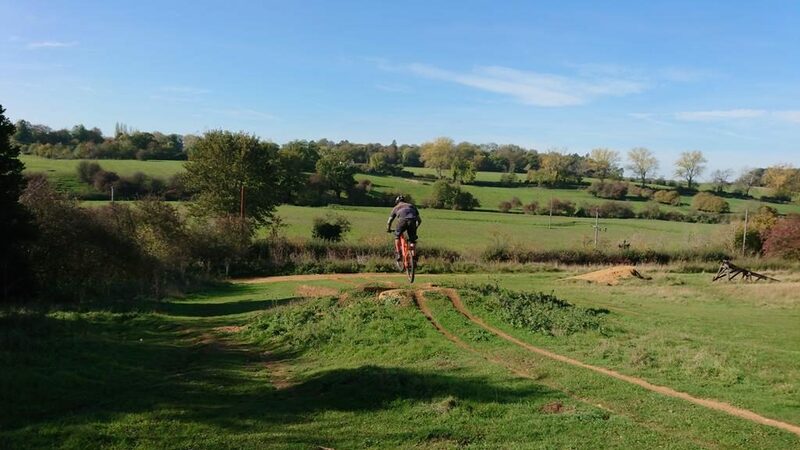 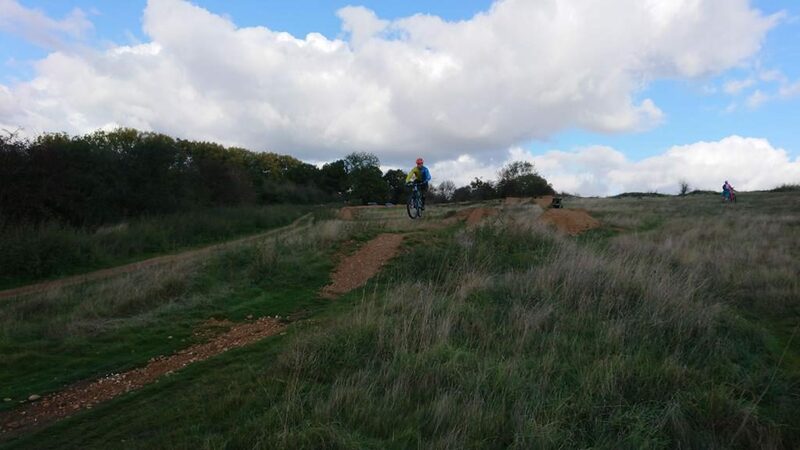 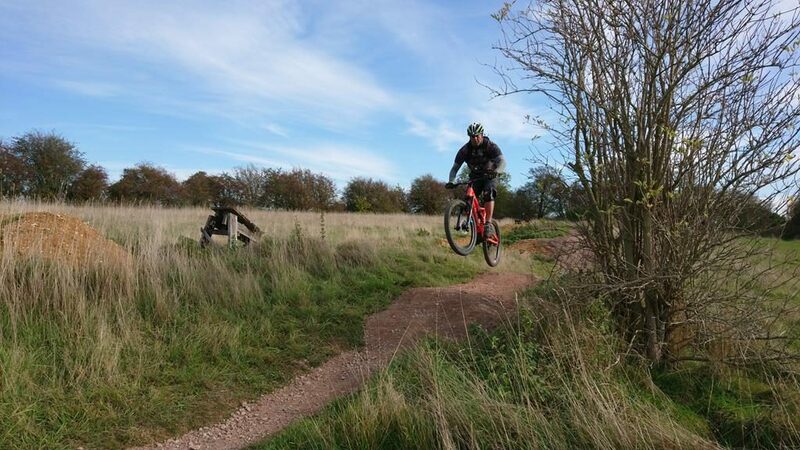 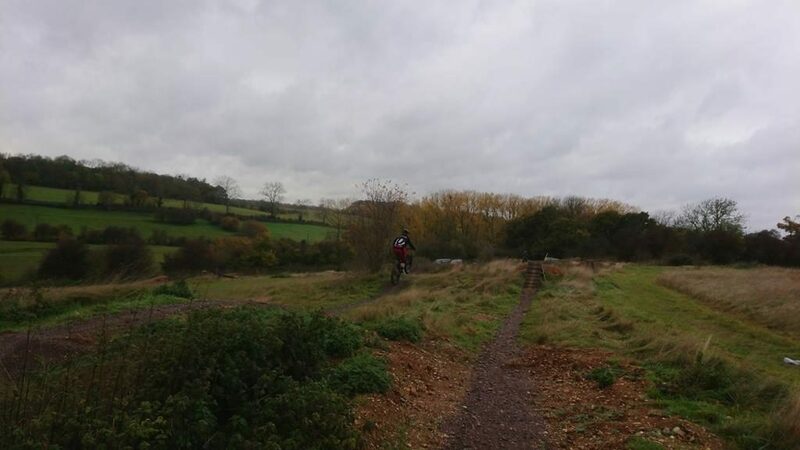 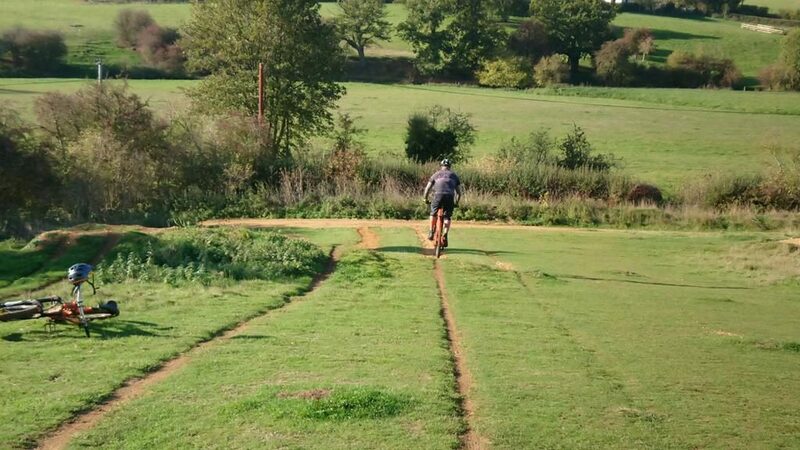 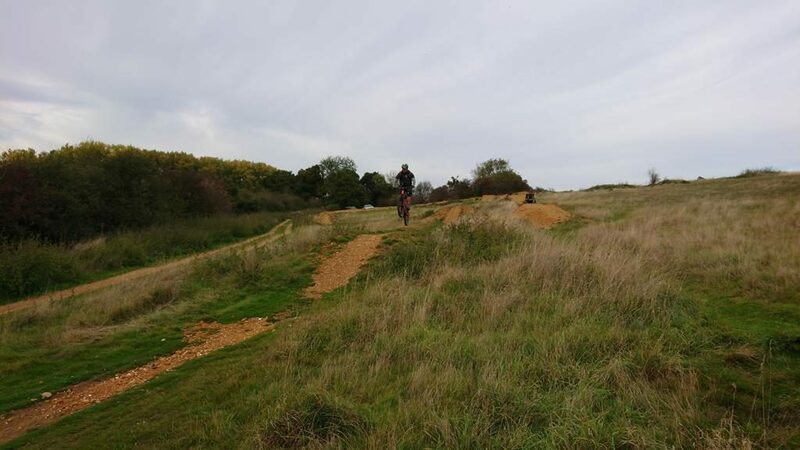 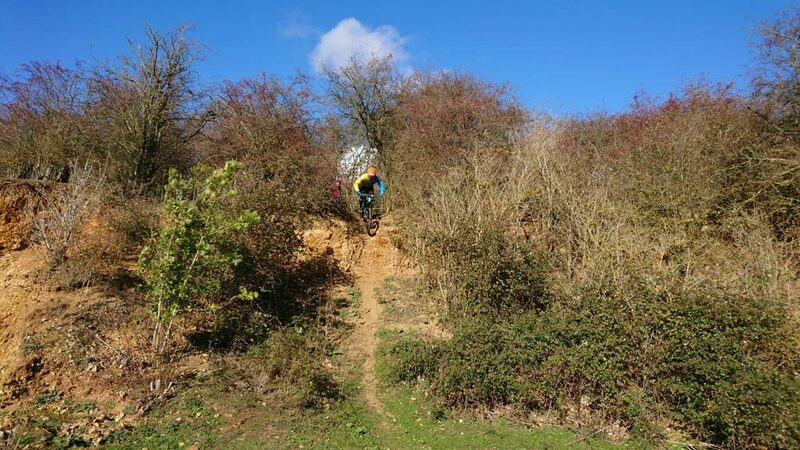 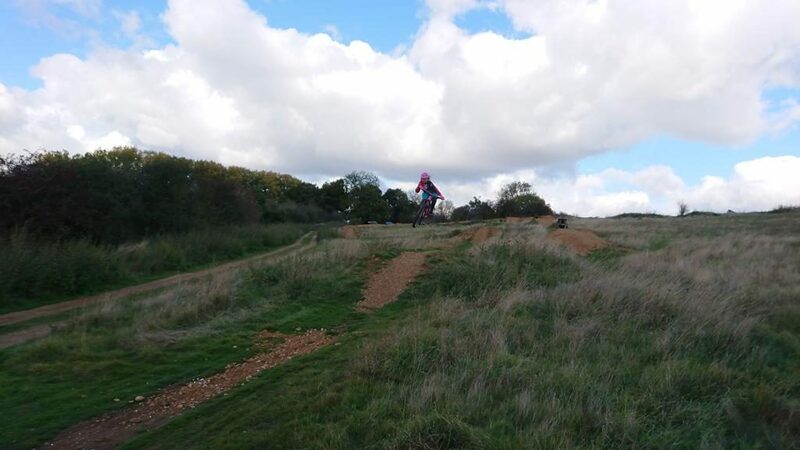 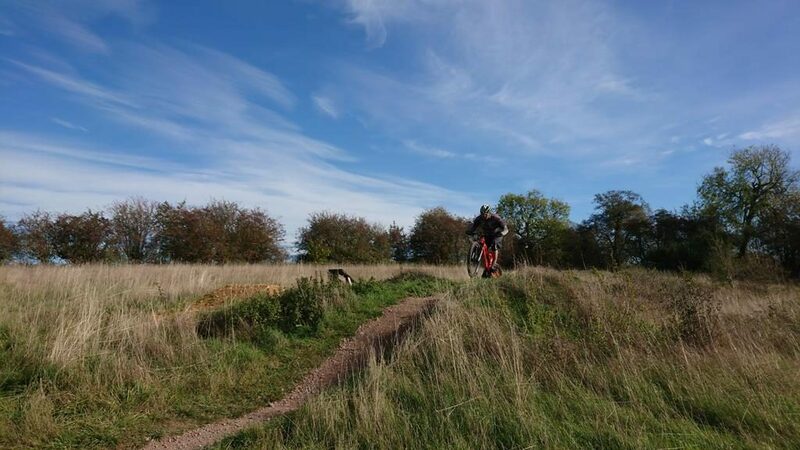 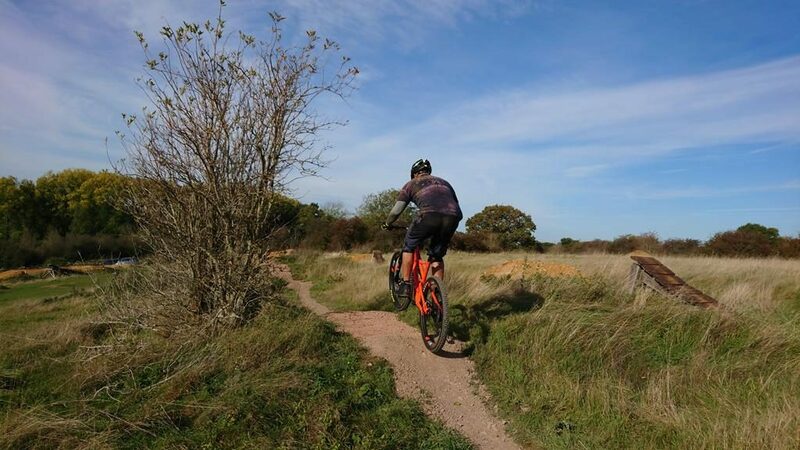 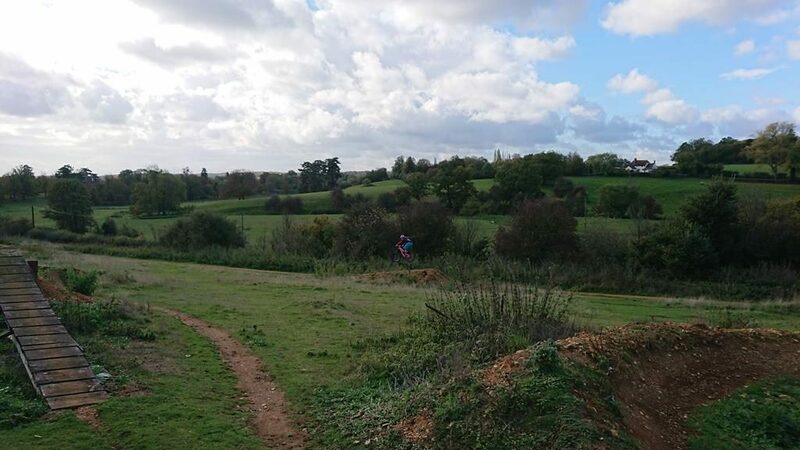 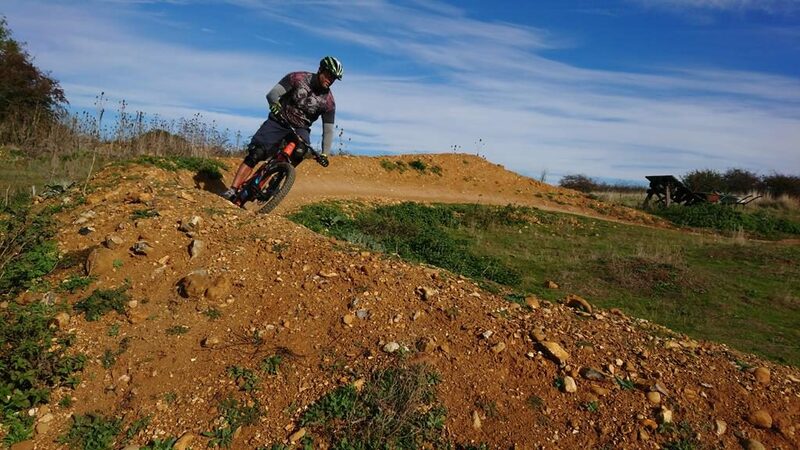 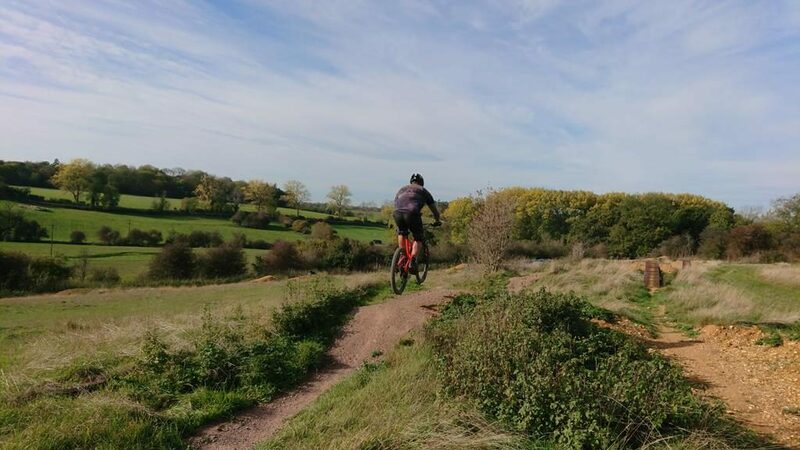 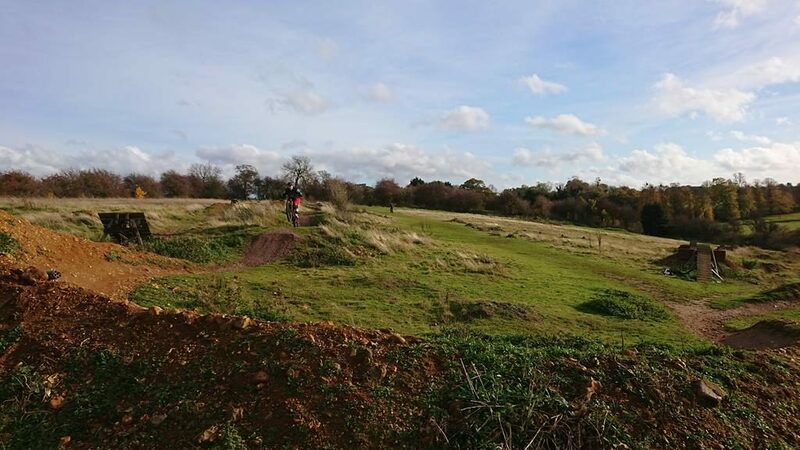 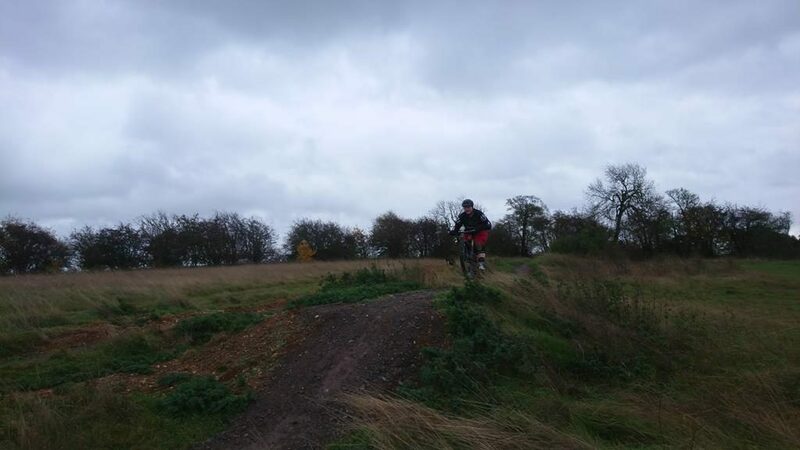 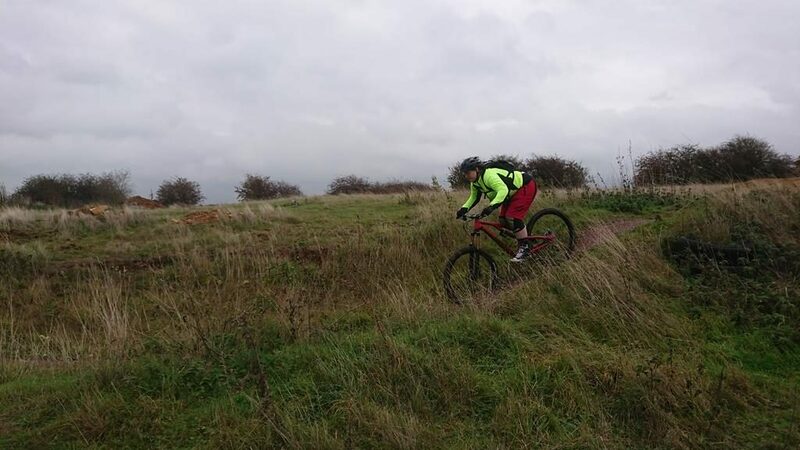 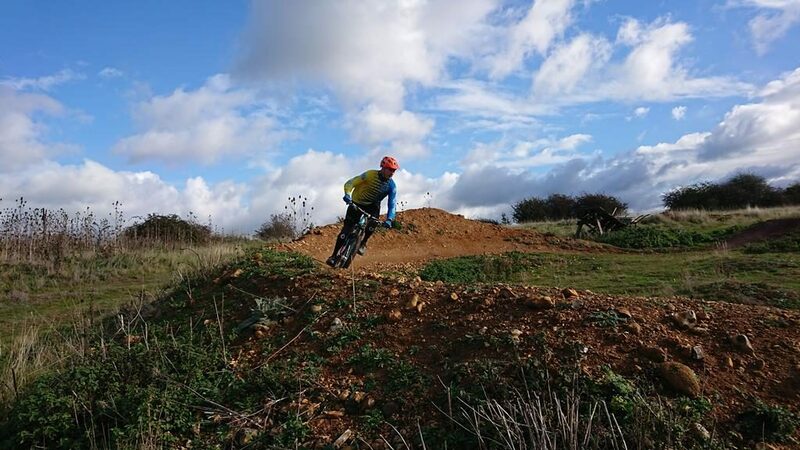 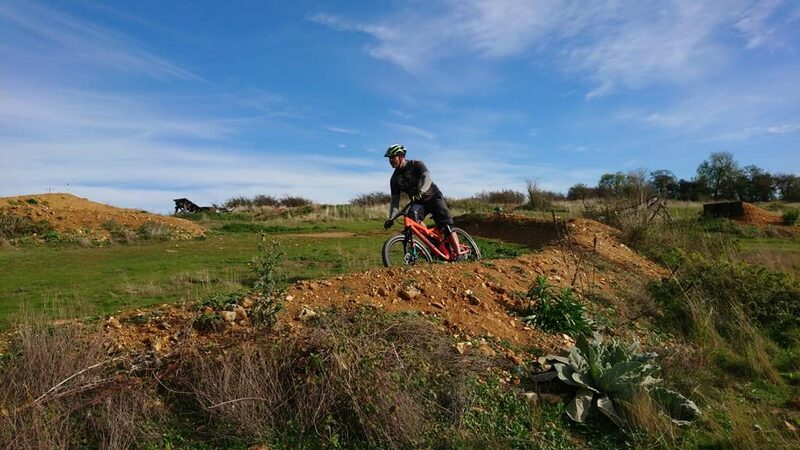 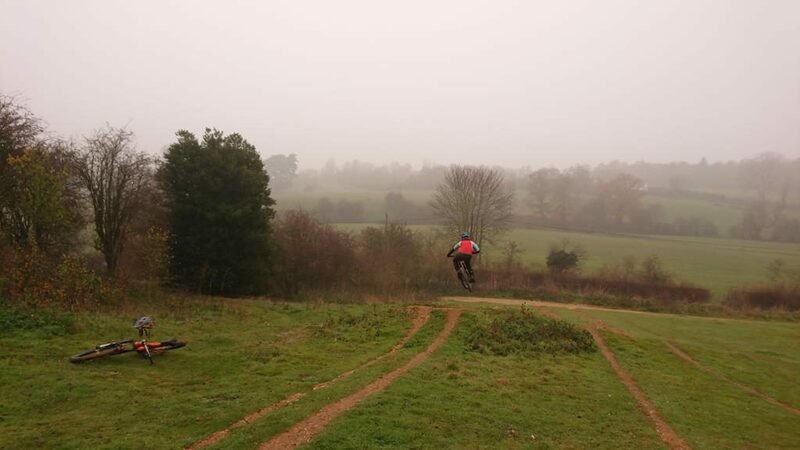 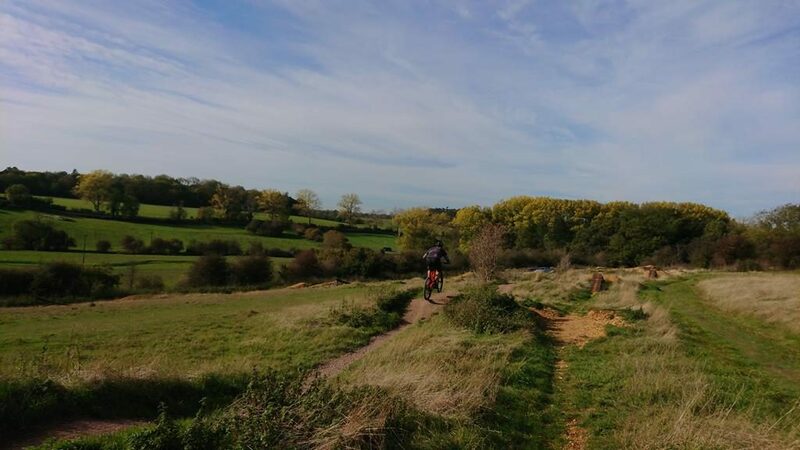 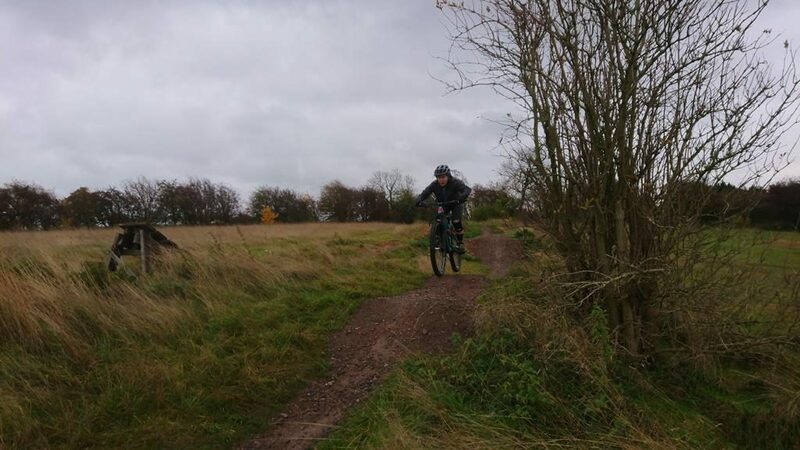 Dan came to me for mountain bike skills coaching to understand what to do and why when riding off road. 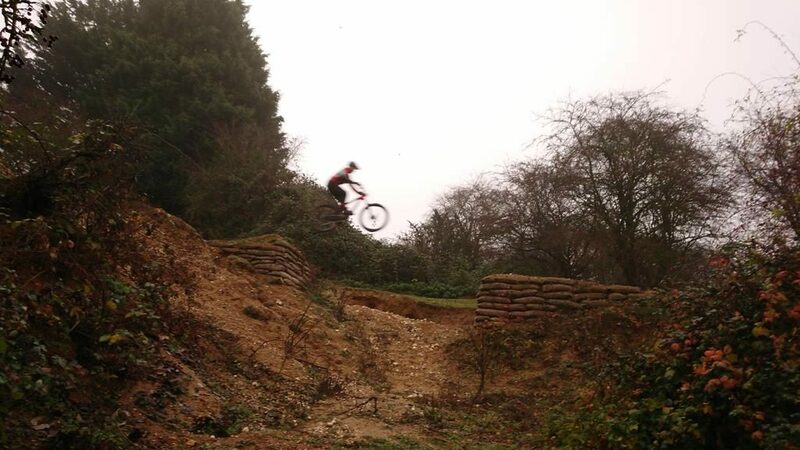 Previous to today he had never jumped or anything. 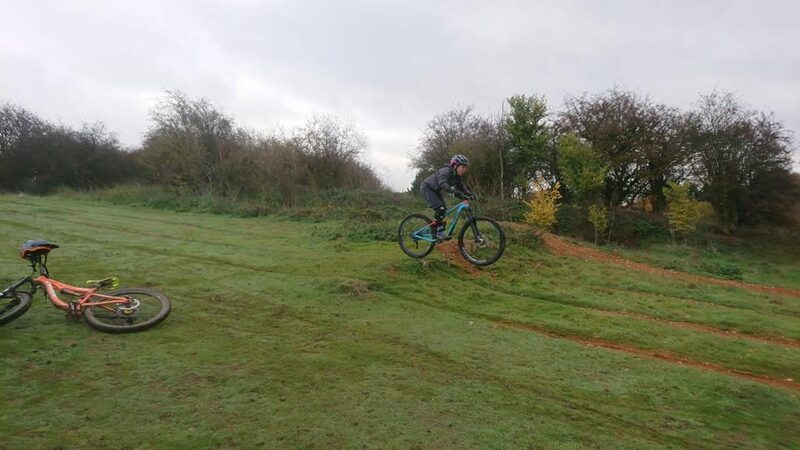 The skills check showed me the areas that needed correcting in his physical skills set and it wasn’t long before he could pop either wheel off the floor and ride over obstacles with ease. Drops, jumps, gaps, pumping, cornering and steep drop offs were all ridden and Dan’s riding by his own admission had changed dramatically.